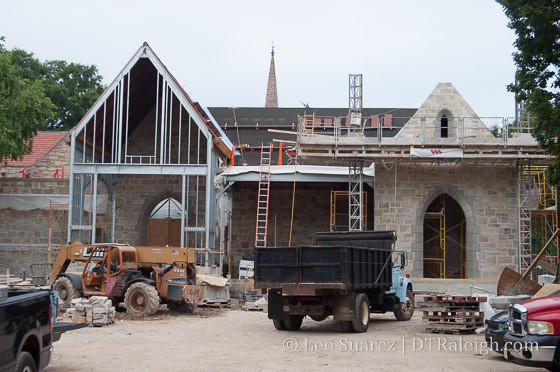 The latest addition to Christ Church is starting to really take shape these days. You’ve got to hand it to them for trying to make their newest expansion along Edenton Street match the historic building. They have an album of construction photos on their Flickr page.